UPDATE, 5.10pm: A MAN has died after suffering critical injuries in a workplace accident at a quarry in the Isaac region, Queensland Police Service confirmed. The worker of an undisclosed age sustained severe injuries to his head and leg in the incident at a site off the Peak Downs Highway at Wolfang, near Clermont, about 11.20am today. A police spokesman said a report will be prepared for the coroner. It's expected the Department of Natural Resources, Mines and Energy will investigate the accident. The department has not yet replied to a request for comment. UPDATE 1.30PM: QUEENSLAND Police Service said a government investigation will be held into a "workplace accident" at a quarry near Clermont in which a worker was critically injured this morning. A QPS spokesman said officers were called to the scene off the Peak Downs Highway at Wolfang "as a matter of course" about 11.26am today. The police spokesman said Workplace Health and Safety would be investigating the incident, understood to have occurred near the intersection of the highway and Gregory Development Rd. However, a spokesman for Workplace Health and Safety said since the incident occurred at a quarry, investigations would be undertaken by the Department of Natural Resources, Mines and Energy. Queensland Ambulance Service and RACQ CQ Rescue personnel responded to the accident but have since been stood down as they were no longer needed. The worker - of an undisclosed gender and age - suffered critical injuries to their head and leg in the "workplace incident", an ambulance spokeswoman initially told the Daily Mercury. During a follow-up phone call with the service, a spokesman confirmed paramedics were no longer required at the scene. Meanwhile, a spokeswoman for RACQ CQ Rescue said it had been tasked to fly to a quarry near Clermont about 11.30am. But its helicopter was "stood down only a couple of minutes after take-off". Further details about the workplace incident have not been provided by the police or ambulance services, nor an update on the worker's condition. Wolfang is about 254 kilometres south-west of Mackay by road. INITIAL, 12.39pm: A WORKER has been critically injured in a workplace incident in the Isaac region south-west of Mackay, according to Queensland Ambulance Service. 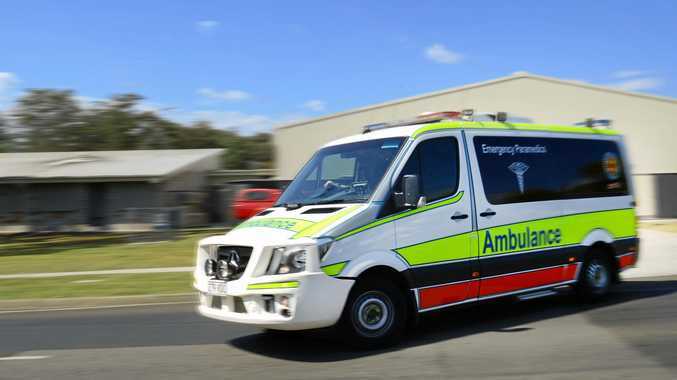 The injured worker was being assessed by ambulance paramedics off the Peak Downs Highway at Wolfang, near Clermont, as of 12.20pm, said a spokeswoman for the service. The worker reportedly suffered severe injuries to their head and leg, but details were scarce about what may have caused the injuries. Queensland Ambulance, which was tasked to the incident at 11.20am, have not yet been able to detail the worker's gender or age. It's understood the nearest intersection to the incident is Gregory Development Road.